tell a story or speak to another human being. Most of us are relaxed and confident when we’re with our friends and family. We can tell a story or even tell a joke. But put us on a platform and we can feel very different. When we speak to an audience, we often put on a public mask and use a different voice. Why can’t we seem to be ourselves when we give a talk? Why can we seem to connect with an audience one day and not another? How should we best structure a talk and prepare our notes? And how can we deal with nerves? In this book we will look at all aspects of spoken communication, from structure right through to delivery. We will learn how we can tread that fine line between confidence and arrogance. And start to drop that public mask. We will learn how to have an authentic conversation with our audience – to be ourselves – so that we connect with them every time we speak, and deliver our message with energy, clarity and humanity. In 7 simple steps you can learn to be a confident and authentic speaker. There are specific exercises at the end of every section for you to practice. 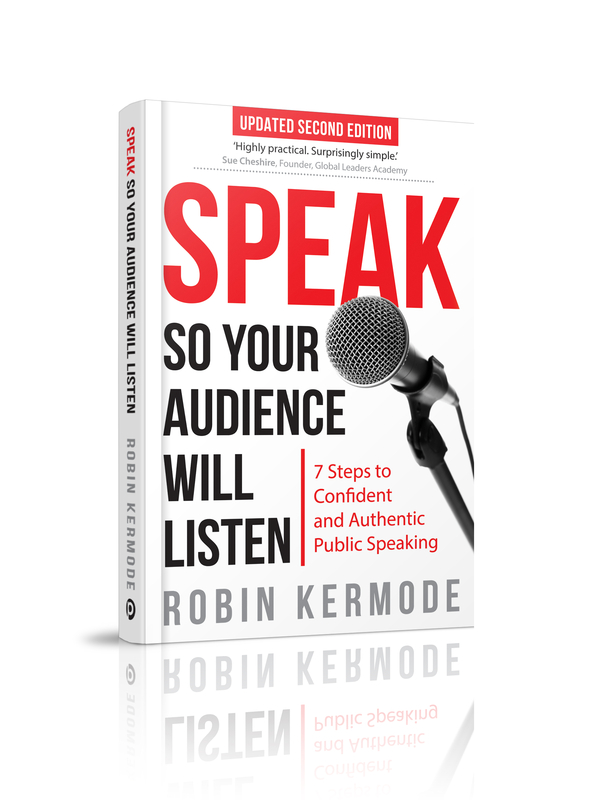 Whether you’re a CEO presenting to shareholders, a manager motivating your team, an entrepreneur selling a business, a creative pitching an idea, a charity worker asking for donations or a parent speaking at your daughter’s wedding, this book will help you become a confident and authentic speaker, so that when you speak your audience will listen. And hopefully you’ll enjoy the experience too!